WILLIAMS, Mary Wilhelmine (May 14, 1878 - March 10, 1944), historian, was born on an isolated farm in Stanislaus County, California. Her mother, Caroline Madsen, was a native of Bornholm, Denmark; her father, born in Dalecarlia, Sweden, was christened Carl Wilhelm Salander but changed his name to Charles Williams after emigrating to the United States. The large family, which included at least four daughters and two sons, was poor, and since the father forbade other expenditures until all debts were paid, they had few luxuries. 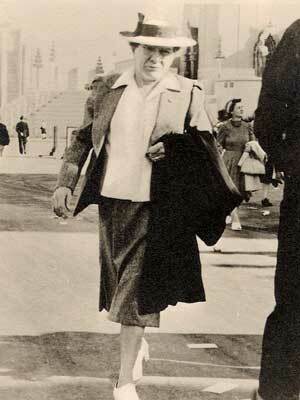 The courage and determination that later characterized Miss Williams are evident in the pattern of her early life. She attended local schools through the eighth grade and resumed her education only after an interval of several years, probably because of lack of money. 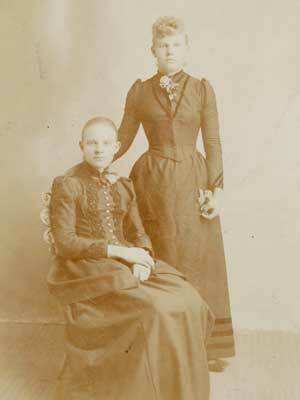 At eighteen she entered the San Jose (California) State Normal School, graduating in 1901. After a further interruption of three years, during which time she taught school, she enrolled in Stanford University. By carrying a heavy course load and taking summer classes at the University of California she obtained her A.B. 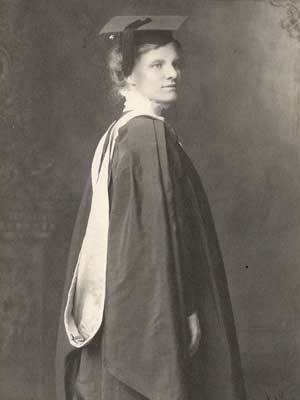 degree at Stanford in three years, and the following year, 1908, her A.M. Although financial responsibilities made it necessary for her to return to public school teaching from 1908 to 1911, she had resolved to become a historian, and during the summers of these years she studied at the University of Chicago. To gather material for her doctoral dissertation, she traveled to Europe in 1911-12, doing research in the Public Record Office in London. She then returned to Stanford, where she served as an instructor in history and received her Ph.D. in 1914. Her dissertation, Anglo-American Isthmian Diplomacy, 1815-1895 (1916), based on the hitherto little-used records she had found in London and in the State Department files in Washington, won the Justin Winsor Prize of the American Historical Association. After a year (1914-1915) as instructor of history at Wellesley College, she was called to Goucher College in Baltimore as assistant professor. There she remained until her retirement in 1940, becoming associate professor in 1919 and professor in 1920. As a teacher Miss Williams is remembered for her complete and outspoken honesty, her exacting standards of scholarship, her insistence upon absolute mastery of subject matter, and her encouragement of students in carrying out independent research. At Goucher she added to the number of courses in American and Latin American history and in 1916-17 organized the first collegiate course in Canadian history given in the United States. A Viking in appearance, endowed with a marked sense of humor as well as unusual strength of character, she was a staunch feminist. Her courses included a history of the struggle for women's rights, from which grew the articles on several leaders of the movement that she contributed to the Dictionary of American Biography. Deeply interested in her teaching and in her students as individuals, Miss Williams still remained an active scholar throughout her teaching career. Her first publication after her doctoral dissertation resulted from a trip to her ancestral homeland: Cousin Hunting in Scandinavia (1916), a travel account designed to acquaint Americans with the people of their "grandmother land," the land most closely related to England; and Social Scandinavia in the Viking Age (1920). Her major interest, however, remained Latin American history. A pioneer Latin Americanist among historians, and one who helped develop the field, she served on the board of editors of the Hispanic American Historical Review (1927-33) and, in the American Historical Association, as secretary of the Conference on Latin American History (1928-34). She also served on the association's executive council (1922-26). Besides many articles and reviews in the professional journals, Miss Williams wrote an account of John Middleton Clayton, signer of the Clayton-Bulwer Treaty for an Isthmian canal, which appeared in Volume VI (1928) of American Secretaries of State and Their Diplomacy. She also published The People and Politics of Latin America (1930), a general survey for college students which remained a standard work for nearly two decades; and a biography, Dom Pedro the Magnanimous, Second Emperor of Brazil (1937), the first study of this ruler to appear in English. In 1918-19 the government of Honduras retained Miss Williams as a cartographic, geographic, and historical expert in connection with its boundary disputes with Guatemala and Nicaragua. In 1926-27, on behalf of the American Association of University Women, she traveled through fifteen Latin American countries to survey their facilities for higher education for women. The aviator Charles A. Lindbergh came to Goucher to consult with her in 1928 while planning his tour of South America. As an established authority, she was appointed by the State Department to serve on a number of committees dealing with problems of Latin America. In 1940 she received a decoration from the Dominican government in recognition of her work for inter-American understanding - a decoration that she wore with pride at that year's commencement exercises at Goucher. Although a dedicated scholar, Miss Williams was not content with the cloister but was always active politically. She campaigned vigorously in behalf of peace and equal rights for women, wrote for both causes in magazines and newspapers, and expressed her convictions to her Senators in person. She helped found the Baltimore branch of the Women's International League for Peace and Freedom in 1923, and served as state chairman, 1934-36; she was also active locally in the National Woman's Party. In religion she was a Unitarian. Following her retirement in 1940 she settled in Palo Alto, California. She died there of a stroke in 1944, at the age of sixty-five; her ashes were buried in the Alta Mesa Cemetery, Palo Alto. She left instructions that her grave be marked with her name and the words "Teacher, Historian, Pacifist, Feminist" - nouns that clearly define the scope of her life's work. Note: Mary Wilhelmine Williams is buried at the Hills Ferry Cemetery in Newman, California. Her grave is marked with her name and the words "Teacher, Historian, Pacifist, Feminist".